If you are in the market for a new laptop, why not give Dell a shot? I am currently using a Dell and seriously, the only problem I've encountered with my laptop over the past 2 years or so is the excessive heat it emits ... if I work on my laptop for too long. That's the reason I bought my cooler and now that I'm using the cooler, my Pink Dell is smooth sailing and hardly gives me problems or headaches! Why I prefer Dell first and foremost is their very reasonable price range. I love the Savings I enjoy when I purchase a Dell, which you are bound to get when ordering online. Come to think of it, my last Dell PC was also ordered online and so was my Pinky. The discounts are massive and all you have to do is keep your eyes open for the many Dell discount codes available. I've never owned a HP laptop though and I am keen to see if it's any good when B brings home his new HP laptop later on this week. I hear HP is also offering HP Savings coupons so if you prefer something from HP, do not forget to check out those discounts first okay? Buying a laptop or a PC is a huge investment and it's one that requires a lot of thinking. If I want to buy something pricey, I'd need to ensure its perfection by meeting ALL my requirements. That's why it took me an entire month to shop around for my current Dell Inspiron but until today I am completely happy with my purchase. So don't forget, slow and steady wins the Laptop race and I hope you will find the laptop of your dreams too! "Go HP Go!" LOL. I'll choose HP for lappy. :* :* :* Hi Elai, FC1! :* :* :* And Monica FC3! :* :* :* Hi LJ! 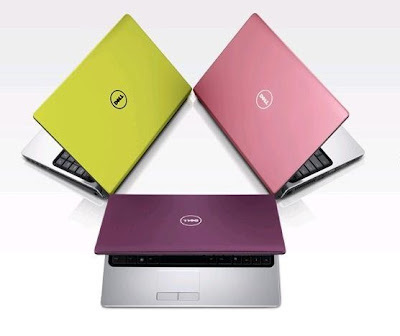 I have the purple Dell laptop. I have ALWAYS loved Dell, however, this was the first one ever to give me loads of trouble. It got SO hot! The adapter cord burned out 3 times in one year. I really should have sent it back to get a new one! Oooh happy shopping for ur new gadget then Ayie, have u bought it yet? ?